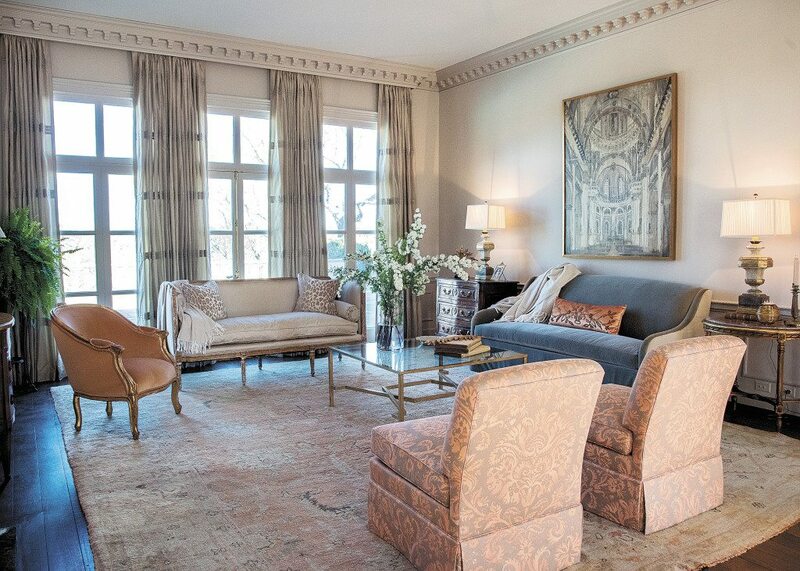 Libby Greene’s ShowHouse living room has elegant conversation spots, including a sofa and Louis XVI settee. The Meredith Keith painting over the sofa is of the interior of the St.-Paul-St.-Louis cathedral in Paris. Like other designers participating in this year’s Decorators’ ShowHouse, Libby Greene has been spending a lot of time in the room she’s designing. And she’s not the first member of her family to do so. Greene had a special reason for choosing the living room as her ShowHouse space. Her grandmother, June Henderson, was in the room many times when Katherine and Bill McTyeire lived there, Greene said. Libby Greene. Photos by Lee Walls Jr.
Greene said she wanted the room to be in keeping with the overall style of the house. Greene said she started her design plan with an old Turkish Oushak rug. “I got the colors – salmon and mushroom – from the rug,” she said. The Oushak and a smaller Khotan rug in the room came from Paige Albright Orientals in Mountain Brook Village. “The two rugs work well together,” Greene said. 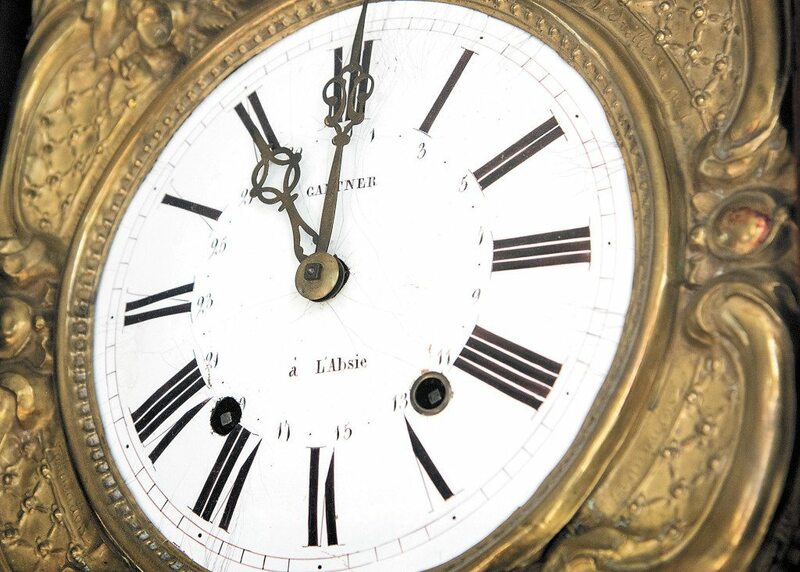 ShowHouse visitors likely will admire a French provincial tall-case clock. The honey pine clock, crafted around 1860, has a fruit basket embossed on its brass pendulum. Greene found the clock at Christopher Glenn Inc. in Homewood. A sofa and a Louis XVI settee provide elegant seating. Beside the sofa is a petite commode, and over the sofa is a striking painting of the interior of the St.-Paul-St.-Louis cathedral in Paris. The artist is Meredith Keith, and the painting came from Gallery 1930 in Mountain Brook. A tall-case clock in Libby Greene’s living room was made around 1860. A coffee table in the living room has a gold-rubbed finish. “It’s a custom piece that I had made by Hiltz Lauber in Homewood,” Greene said. A large antique mirror hanging over the fireplace and the two demilune tables on either side of the fireplace belonged to Katherine McTyeire, Greene said. The room also has two more personal tributes to the McTyeires. “There was a grouping of photos in the house, and I made copies of one of Mrs. McTyeire as a little girl and one of Mr. McTyeire on a horse,” Greene said. 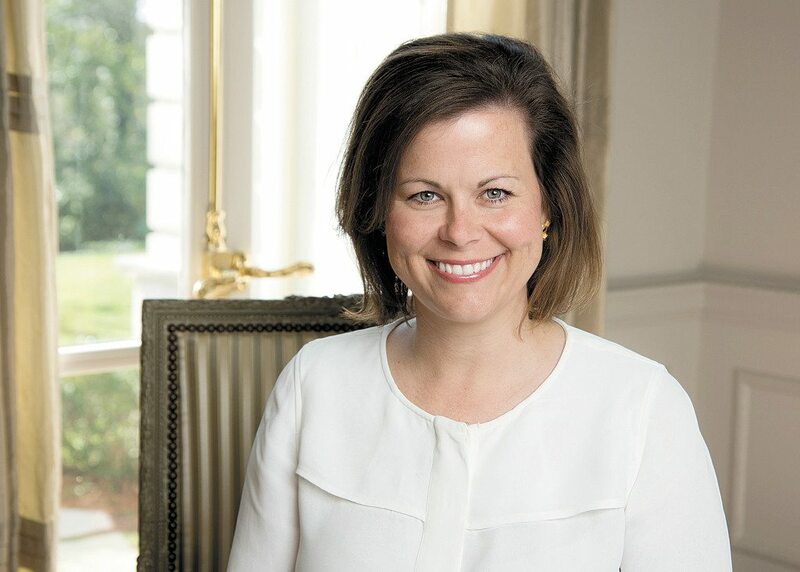 A Birmingham native and Auburn University graduate, Greene owns Libby Greene Antiques. For more information, visit the company’s Facebook page.